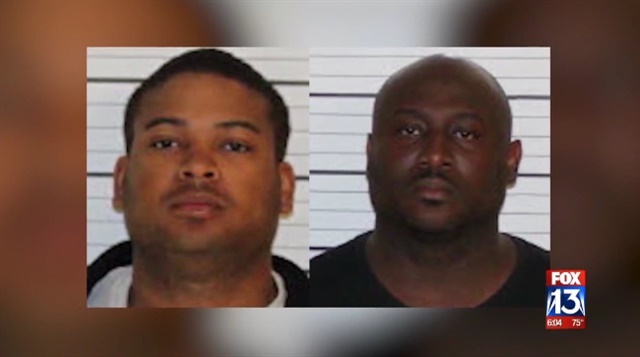 Two Memphis police officers are facing felony drugs charges after they were busted during an elaborate undercover sting, according to documents obtained by FOX13. Kevin Coleman and Terrion Bryson are charged with possession of a controlled substance with intent to manufacture, deliver, and sell – along with criminal attempt felony and possession of a firearm during the commission of a felony. In February, the Memphis Police Department’s Organized Crime Unit received information that officers Coleman and Bryson were stealing money and drugs during traffic stops, according to an affidavit of complaint. Investigators said the officers conducted two traffics stops while on duty as MPD officers in which they stole money from an undercover officer. On April 5, Bryson began contacting an undercover officer about protecting a shipment of drugs that would be brought into Memphis, according to the affidavit. Less than a week later, the officers told the undercover officer they wanted $10,000 to “offer security for the shipment of narcotics.” The pair then agreed to protect 2.5 kilograms of heroin, the documents state.